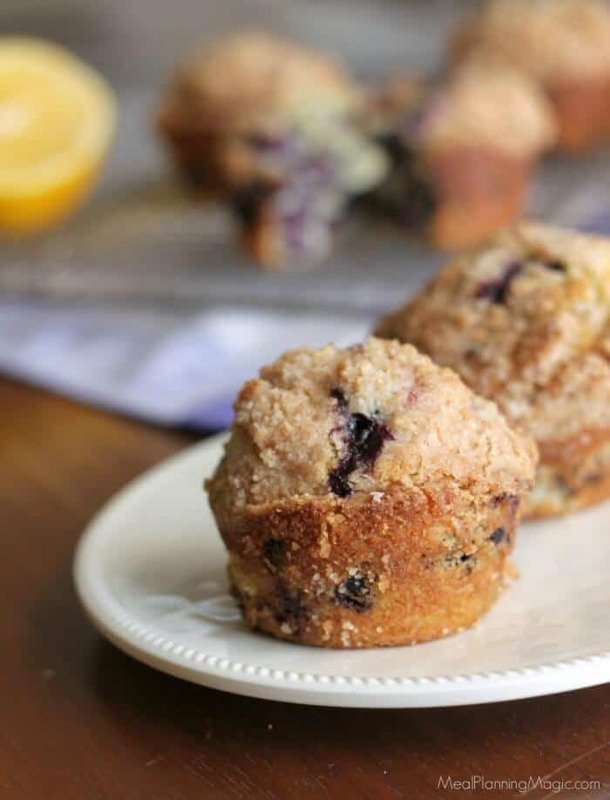 These Meyer Lemon Blueberry Muffins are the best of two of my favorite flavors. They are quick to make and freeze well so why not make a double batch? This recipe originally appeared on my blog about four years ago. I’ve updated the recipe and photos after making some adjustments over the years. They are still a delicious favorite of my family! When we moved into our new house, we inherited a mature Meyer lemon tree and I couldn’t have been more excited! 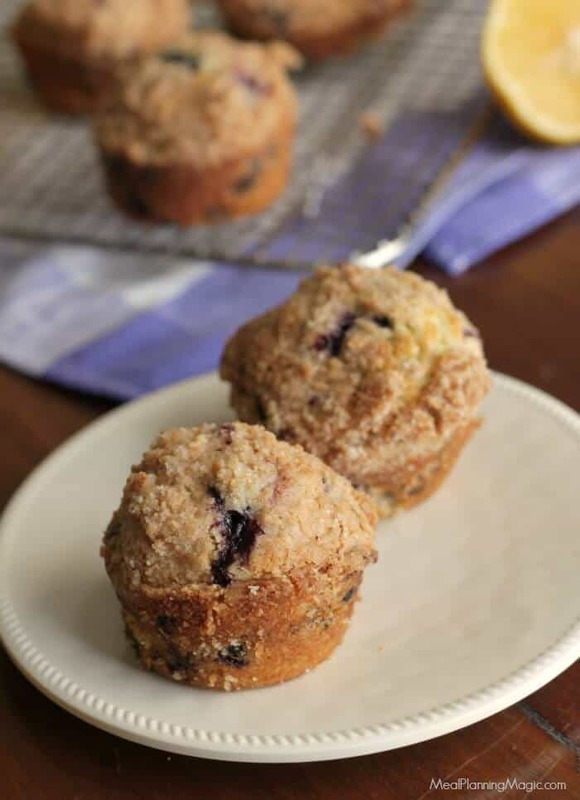 We get lots of lemons and use them throughout the year (see how I preserve the lemons here) So I love to find all kinds of ways to use the lemon zest and juice throughout the year and these Meyer Lemon Blueberry Muffins are a perfect way! 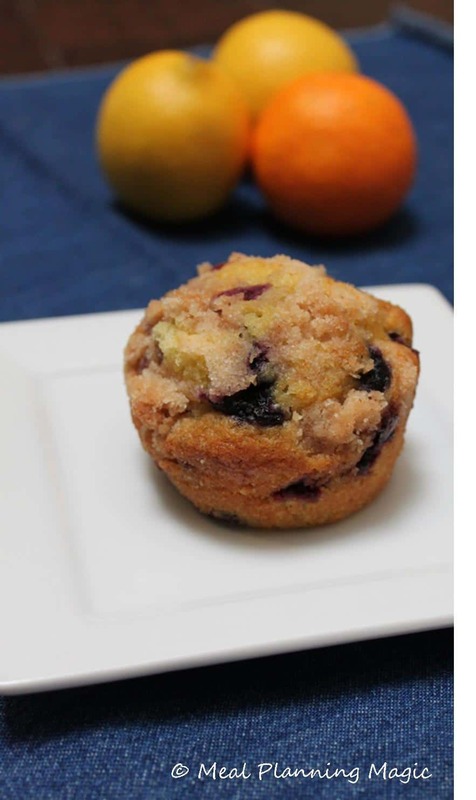 The lemon and blueberry combination is such a perfect one–just a little tart with the sweetness of the blueberries! Yum! Let me tell, you we loved these so much that I actually made up two batches within about three days. They were devoured! My daughter especially loves them! The recipe called for Meyer lemons, which have a slightly orange-lemon flavor that gives it a unique flavor. These muffins are adapted from a recipe I found on the Fifteen Spatulas blog but I’ve tweaked it a bit over the years and made it my own. I will tell you that when you make the batter, it will seem like not enough. 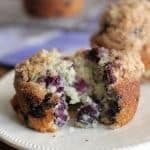 But I promise that it makes one dozen perfectly sized muffins that are perfect for any breakfast, brunch or snack. I hope you’ll give them a try! 1/3 cup oil of your choice coconut, canola, etc. Preheat the oven to 400 degrees F. Spray muffin pan with non-stick spray. In small bowl, prepare the streusel crumb topping. To prepare, dice up the butter into cubes, and work all of the ingredients together with your fingertips, until it forms a bunch of crumbs and clumps. Set bowl aside. In large bowl, combine the flour, sugar, salt, baking powder and lemon zest. Take a tablespoon of the mixture and toss it with the blueberries. 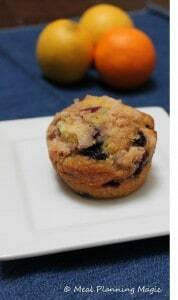 This ensures that the blueberries stay suspended throughout the muffin, instead of falling to the bottom—very important! Place the vegetable oil, egg, and milk in a bowl, and whisk to combine. Add that to the flour mixture, and remember, this batter will be thick! Lumps are ok! Add the blueberries, and fold them in gently. Use a scooper to portion them out into the muffin cups, and sprinkle the crumb topping all over the tops. Bake for 20-22 minutes until a toothpick inserted into the center come is out with no wet batter. Let them cool, and enjoy! This is the original photo! A lot different, huh? I’m so glad you loved these so much!!!! I love them too. The blueberries around here are starting to bloom and I’m so excited to pick some more again soon and make these! Great recipe! I love the combo of the lemon and orange with the blueberry. Stopping by from the Crazy Cooking Challenge. Hope you’ll check us out #85. You know it’s a good recipe when you make it more then once, just to see if adjusting a measurement here or there makes a difference. Glad you did the work for us. The combination of two citrus’ sounds amazing! I love the addition of lemon and orange to go with the blueberries! They look beautiful! Great recipe choice. Sounds like a fantastic recipe! I really enjoyed this challenge – it was my first. I’m sure the citrus zests bump up the flavor. 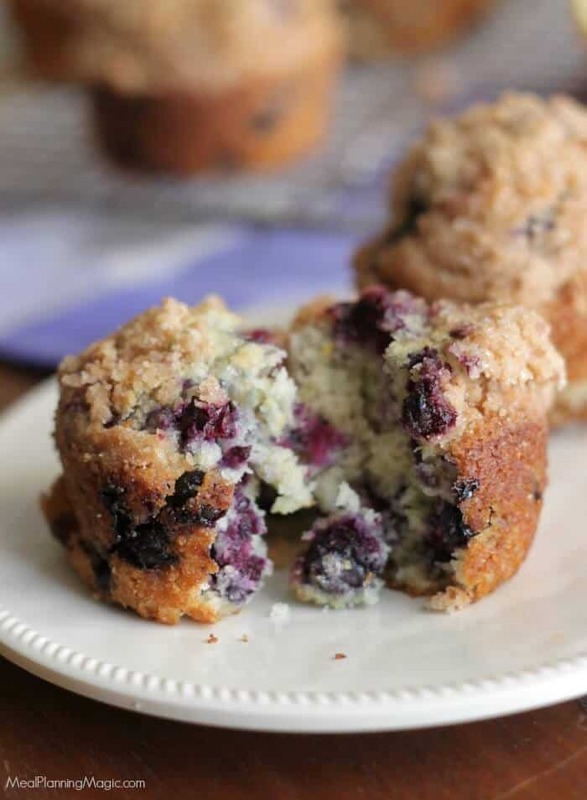 Since blueberries are my hubby’s favorite fruit, I have this recipe in my to-try pile. Stopping by from CCC #81. I love the flavor combination you used for these muffins. They sound amazing and look so tasty.